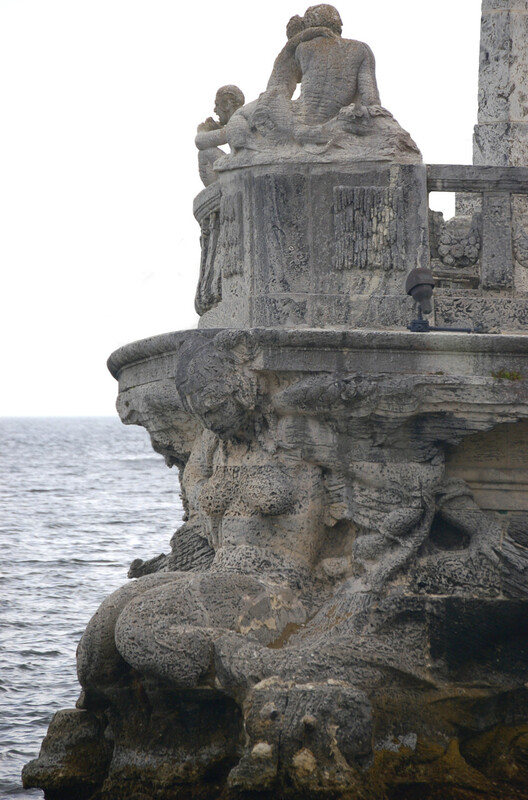 Winged mermaid statue at the stern of the stone barge at Vizcaya Mansion. Photo by seekingmuses. Note the wings on the mermaid statue above. The mermaid sculptures at the bow and stern are winged mermaids, whereas the smaller mermaid statue atop the barge does not have wings. Mermaids at the bow of the stone barge at Vizcaya Mansion. Photo by Roberto Jimenes Morales. 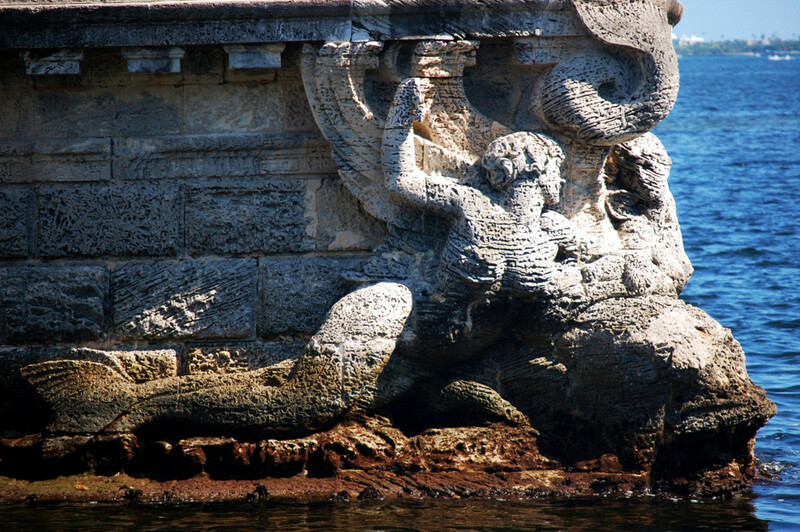 Winged mermaid at the stern of the stone barge at Vizcaya Mansion. Photo by seekingmuses. 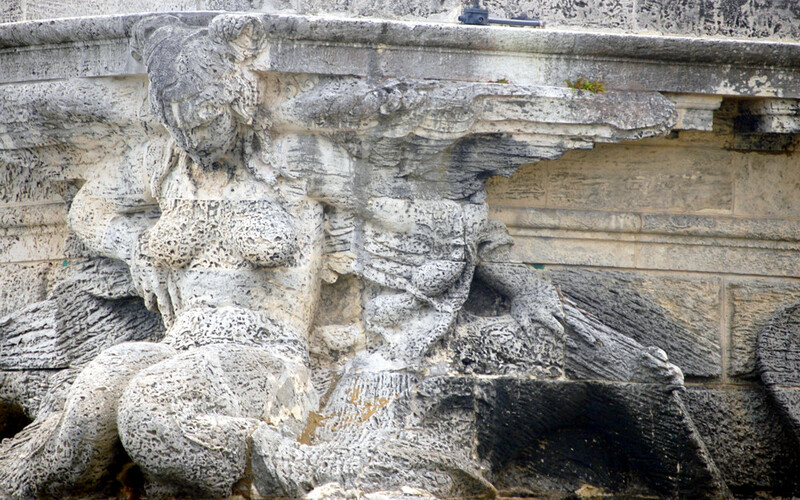 Winged mermaid at the stern of the stone barge at Vizcaya Mansion. Photo by Jeffrey D. Wisgo (Prince David of the South). 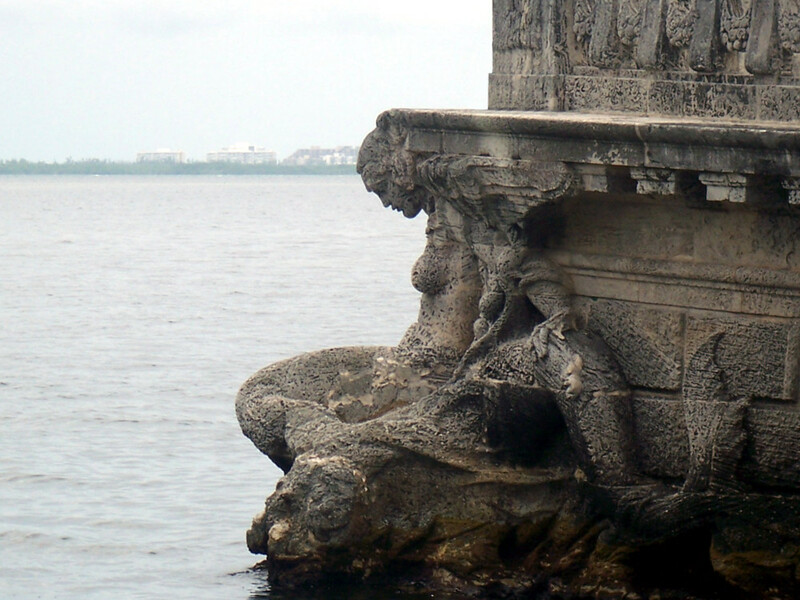 Winged mermaid at the stern of the stone barge at Vizcaya Mansion. Photo by Jeffrey D. Wisgo (Prince David of the South. 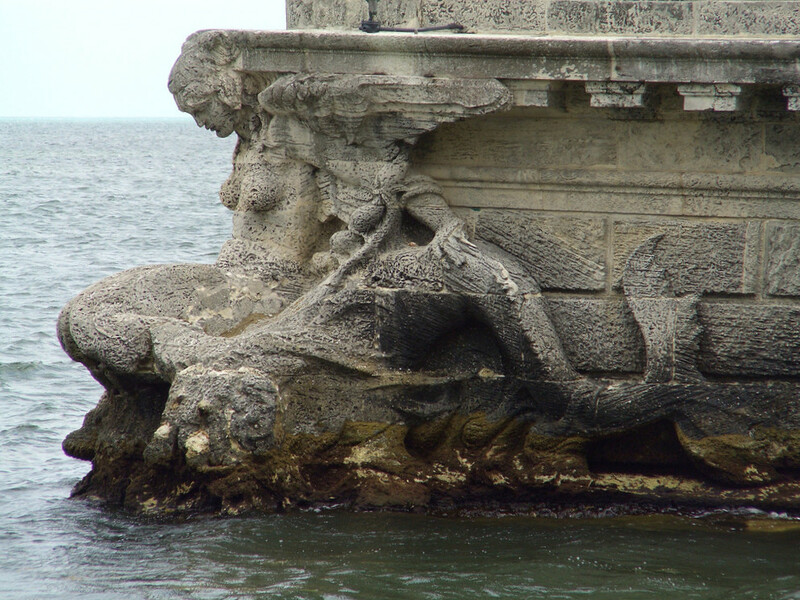 Winged mermaid at the stern of the stone barge at Vizcaya Mansion. Photo by Lonny Paul. 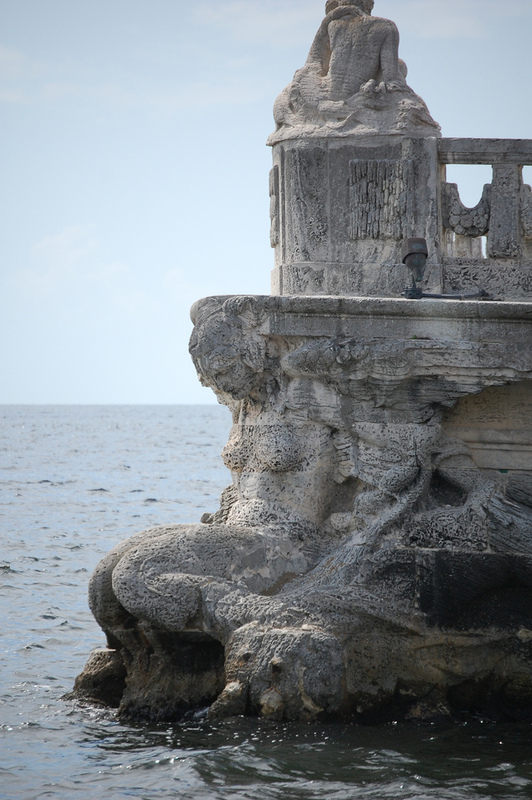 Winged Mermaid at the stern of the Stone Barge at Villa Vizcaya in Miami. Photo by Mark Christianson. More data is needed on these mermaid sculptures. If you have relevant information, please contact us.